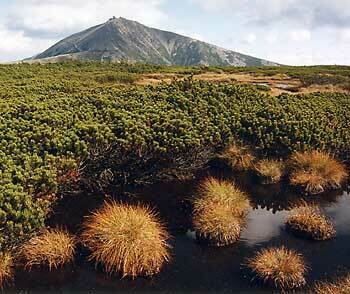 The panoramic map offers a quick overview of the geography of Krkonose Mountains and their foothills. Click on cities on the map to have more information displayed. 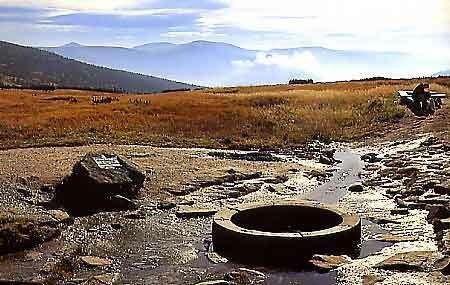 The Krkonose region features the highest mountain of the Czech Republic – Snezka (1602m) and the spring of the mighty Labe/Elbe river. 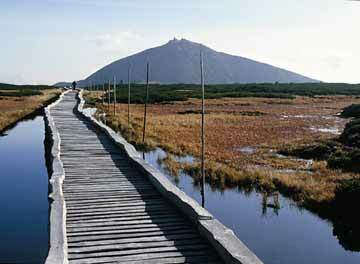 The treasures of this area include an extraordinary flora and fauna and the unique northern tundra on the mountain range (e. g. Upa Peat). Examples of the wide range of traditional architecture can be found in Paseky nad Jizerou and several historically and urbanistically relevant towns in the foot-hills, e.g. Vrchlabí, Trutnov, Jilemnice, Hostinné, Kowary and more.